“It was the best of times, it was the worst of times”, Charles Dickens wrote in his famous novel A Tale of Two Cities. What our times actually look like is, for most of us, a rather fuzzy picture. We see fragments every day in all that we do; watching TV, surfing the internet and social media, and as we go about our daily lives. But how much do we really observe with our own eyes? 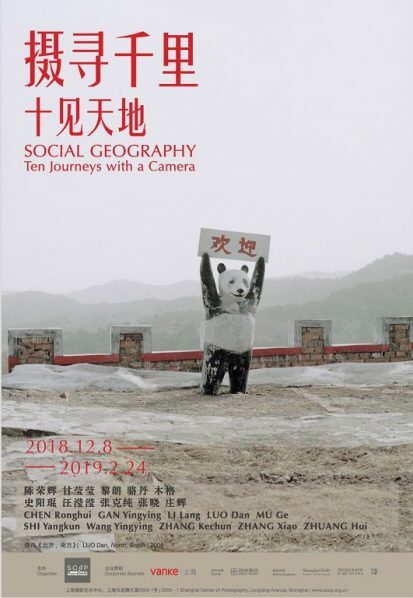 “Social Geography: Ten Journeys with a Camera” presents ten different visions of these time, as experienced by and as observed through the lens of 10 Chinese photographers. Each used their feet to travel thousands of miles as they explored their times, be that as geography, as social anthropology, as moments in history, and as a series of personal stories. “Social Geography: Ten Journeys with a Camera” presents a group of Chinese photographers who can all be described as seeking out their own individual perspective on life. Their work is suffused with a sense of historical and social awareness, a feeling for individual experience, often as part of a community, and for the extraordinary degree of change which, whilst so pronounced in the cities, like Shanghai, is still unfolding across this vast land. The photographs are widely variant in mood. We find pathos alongside humor, in scenes that are never constructed but captured using straightforward means. As such, they capture the diversity of experiences that met each photographer in the particular road they travelled. The broad, empathetic understanding these bodies of works impart reveals a deeply humanistic awareness of what is close to us, as well as that far away. Gan Yingying was born in Guangxi, China, 1990. After completing a Masters degree in photography at the University for the Creative Arts, Rochester, UK, she moved to Shanghai, where she work as an independent photographer,writerand curator. Gan Yingying is interested inthe relationship between identity and individual surroundings. Her works have been exhibited in exhibitions in China in Xi’an, Suzhou, Shanghai, and Xiamen, and in the UK in London, Rochester and Medway. Courtesy of the artists and Shanghai Center of Photography, for further information please visit www.scop.org.cn.